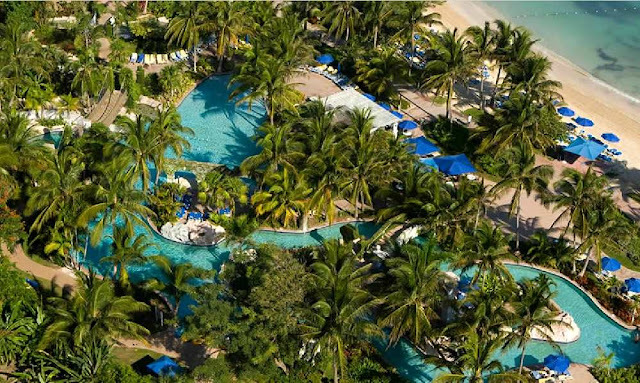 This is an All-Inclusive Resort, and Children 12 and under Stay, Eat and Play Free! 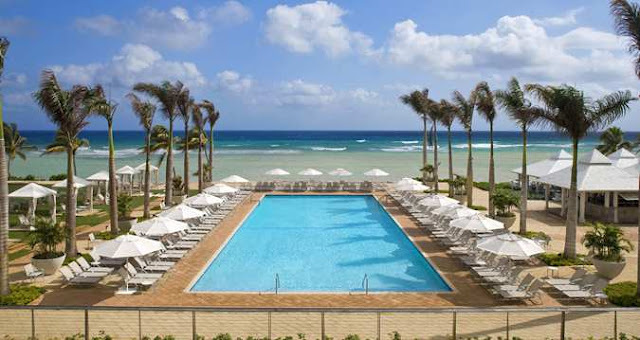 Hilton Rose Hall Resort & Spa in Montego Bay, Jamaica was once a legendary 18th-century sugar plantation. Today it is one of the most popular all inclusive and a la carte beachfront resorts on the island. The property is situated between the Jamaican Mountains and Caribbean Sea and features a private beach, the Caribbean's largest water park, snorkeling, scuba diving, windsurfing, and championship golf course. Nearby activities include glass bottom boat tours, SCUBA diving, parasailing, water skiing, shopping in Montego Bay and exploring the historic Rose Hall Great House. 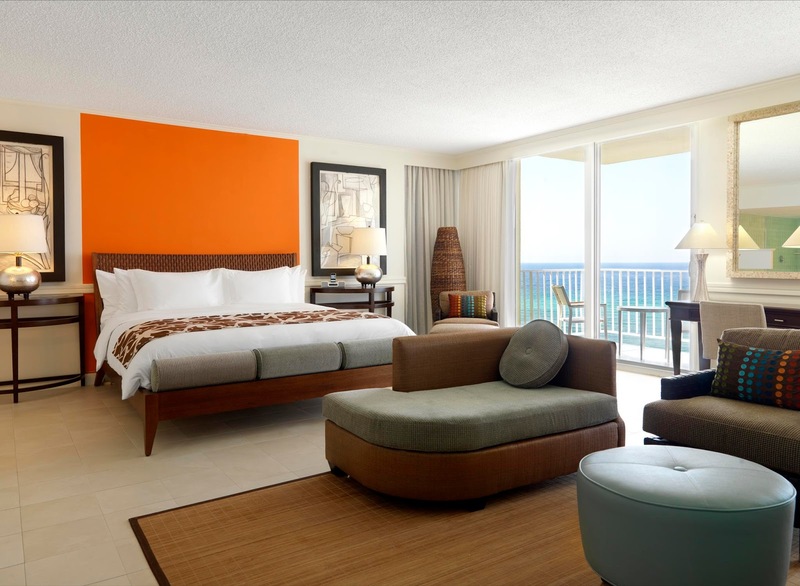 The rooms and suites have a contemporary tropical decor with Italian porcelain tile floors. The bedrooms have luxury bedding, flat panel TV, refrigerator built into guest cabinetry, oversized mirrored closets, and contemporary spacious oval desk. The popular balcony rooms offers fantastic sea views, or the golf course and mountains. The luxury bathrooms have backlit mirrors, oversize salt and pepper Chinese granite sink bowls, frameless glass showers and lots of storage for oversize plush towels and signature amenities. Cinnamon Hill, is one of the top courses in the Caribbean. The 400 acre 18-hole, par-71 championship course offers challenging play for golfers of all levels. The Sugar Mills Falls is a complex 110,000-square-foot water theme park featuring a 280-foot long, 30-foot elevation thrill slide, three terraced pools, a lazy river and swim up bar. The resort’s Kids Klub offers a complete day-care pavilion including play area and air-conditioned recreation center. Open to children ages 4-12 years, Kids Klub activities are available seasonally. For older children, the resort offers The Teen Zone, a supervised interactive game center featuring video games, air hockey and pinball, along with the latest DVDs. The Teen Zone is open daily from 3 – 11 p.m., and all ages are welcome. Visit www.rosehallresort.com for more info or call 1 (876) 953-2650.